Dogs are susceptible to a variety of problematic skin problems, ranging from mildly troubling to life-altering. Fortunately, many dog skin conditions and other skin disorders go away on their own or are relatively easy to treat. However, some skin conditions on dogs will require you and your vet to experiment with several different treatment strategies before a successful one is found. Unfortunately, a few animal skin disorders are impossible to treat at all. Because many skin issues on dogs can mimic each other and an accurate diagnosis is crucial to curing the problem, you should always consult with your veterinarian anytime you notice something wrong with your dog’s skin. But in the meantime, review the following conditions below to familiarize yourself with some of the most common dog skin conditions. Most skin issues in dogs fall into one of several categories, in which we’ve grouped the various conditions. While some dog skin conditions are serious issues that require prompt veterinary attention to prevent them from worsening, other skin problems, such as the following four, are often little more than a minor annoyance. 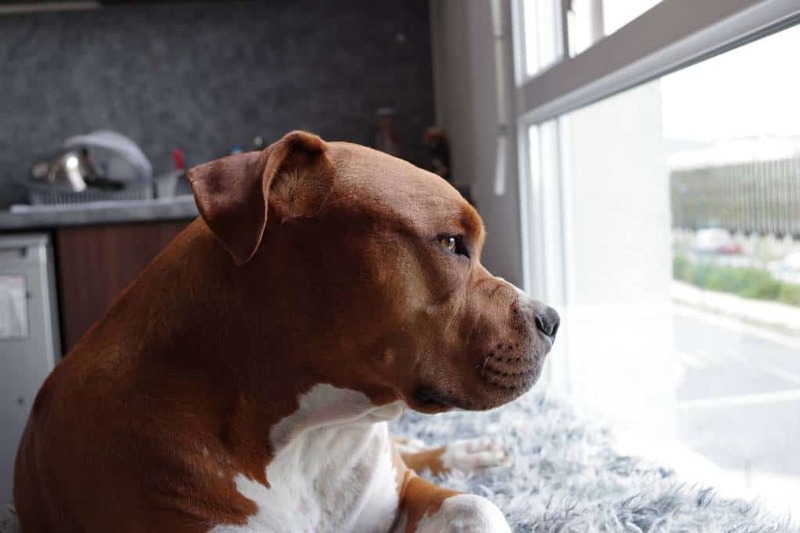 While you should still seek veterinary care for the following canine skin problems (if, for no other reason, than to make sure the condition is properly identified), many are treatable with lifestyle changes and some resolve on their own. Dry skin is one of the most common skin ailments that afflict dogs. Dry skin typically arises in response to other skin conditions or problems, such as allergies or flea infestations, but some dogs simply have drier skin than others do. While dry skin is rarely cause for serious concern, it is still wise to visit your veterinarian, so he or she can rule out any systemic (and potentially serious) causes of dry skin. As long as you address any underlying problems that are causing your dog to experience skin problems, dry skin is typically a rather easy condition to treat. Some dogs respond to dietary changes, such as switching to a dog food that provides more omega 3 fatty acids. Medicated and moisturizing shampoos may help in other cases. Some dogs, especially puppies, suffer from dry, itchy, flaky skin – a condition called dandruff. Dog dandruff commonly occurs because a dog’s sebaceous glands are not producing enough oil to keep the skin properly lubricated and protected. Often, the flakes of dead skin can be seen on the coat (especially in the case of dark-coated dogs). In very rare cases, hair loss may occur. Dandruff in dogs isn’t dangerous, and many cases resolve on their own after a short time. If your dog does not appear itchy, he may not even require treatment. However, an anti-dandruff shampoo formulated for dogs will usually moisturize the skin and put an end to the problem. Just like humans, dogs can suffer from acne. 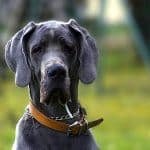 This dog skin disorder typically affects the chin and muzzle area, and it typically occurs as a number of raised, pus-filled pustules (pimples). These pustules will often pop, which can leave a cratered ulcer after the pus drains. Acne in dogs is most commonly seen in puppies, and it typically resolves on its own with time. However, secondary bacterial infections can occur and some cases become chronic, so it is important to consult your veterinarian promptly. Canine acne can usually be treated with some of the same medications used to treat human acne (although you should never use acne medications intended for human use for dogs). It is important that you don’t deliberately pop or squeeze your dog’s pimples, as this often introduces bacteria to the wound. Just try to keep the affected area clean and touch it as little as possible. Although a relatively rare skin disorder, hives – a condition vets refer to as urticaria – can occur in dogs from time to time. Characterized by the raised, itchy, red welts, hives cause mild to moderate distress. Hives often develop quickly, over the course of hours; and they often disappear just as quickly as they appeared. It is often difficult to identify the stimulus responsible for triggering hives. Allergens are one of the most common triggers, although flea bites, dry skin and stress may also cause the itchy, raised bumps associated with urticaria. Although some cases, such as those arising from anaphylaxis (a very serious form of an allergic reaction), require immediate treatment, most hives are self-limiting and will stop occurring once the trigger is eliminated. While most people think of dogs as the cause of allergies in humans, dogs can suffer from allergies too. Most allergies fall into one of two categories: atopic allergies, which result from environmental allergies and food allergies, which result from things in your dog’s diet. Atopic dermatitis is a chronic, long-term skin disorder characterized by itchiness, redness and swelling. Unlike some other allergies, dermatitis in dogs appears to have a strong genetic component, and it is very common among familial lines. A number of different triggers are often implicated in atopic dermatitis, including animal dander, pollen and dust. Atopic dermatitis is most commonly treated by any of several antibiotic topical medications, many of which also include itch-reducing components. Sometimes, changes in diet (food allergies often occur concurrently with atopic dermatitis) and grooming habits are recommended to help better support the skin’s health. Food allergies result when a dog’s body overreacts to a typically harmless substance. When such a dog is exposed to his trigger, the immune system initiates an inflammatory response, leading to itchy skin and poor coat health. Food allergies in dogs can cause intestinal symptoms too, but this is fairly rare. 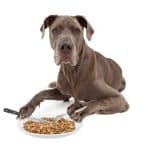 Some of the most common food allergy triggers in dogs include corn, wheat, soy, dairy, chicken, beef and eggs, but just about anything can serve as a trigger. 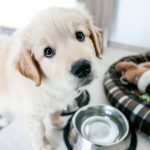 Although food allergies are usually treatable by simply avoiding the offending item, identifying the problematic dog food often requires you to repeatedly and methodically experiment with different ingredients to determine the trigger – a process veterinarians refer to as an elimination-challenge diet. Some dogs can be allergic to more than one ingredient, which can complicate your efforts to identify and avoid offending substances. Dog skin infections occur when a microscopic organism – usually bacteria or fungi – colonize part of your dog’s body and begin reproducing rapidly. Many infections eventually succumb to the body’s immune system, but others require medical treatment to prevent them from spreading and causing serious problems. Like most other big organisms, dogs are crawling with bacteria. Most of these bacterial strains are either beneficial or benign, causing no problems for the average canine. 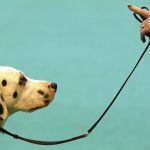 But occasionally, harmful bacteria may colonize your dog’s skin – a condition called pyoderma. Often, other skin conditions provide the right environmental parameters for bacteria to move in and start reproducing. When this occurs, it is known as a secondary bacterial infection. Bacterial infections often cause your dog to itch excessively and you may also notice redness, hair loss, crusty skin, pustules or leaking fluid. Bacterial infections occasionally resolve on their own, but many will only clear with the help of topical antibiotics. Folliculitis is a bacterial infection that afflicts the hair follicles on your dog’s skin. It often causes patchy hair-loss, which can sometimes occur over large portions of a dog’s body. Like pyoderma, folliculitis in dogs can be caused by a variety of factors, including everything from wounds or friction to underlying skin diseases or food allergies. Your vet will likely treat folliculitis by first attempting to identify the bacteria causing the problem, determining the reason the bacteria have been able to colonize your dog’s hair follicles and administering antibiotics to wipe out the causal organisms. Impetigo is a type of staphylococcal infection that usually afflicts puppies, rather than mature dogs. Impetigo presents in a number of different ways, but it most commonly causes pus-filled bumps near a puppy’s belly area. In particularly bad cases, the pustules will eventually cover other parts of the body. In some cases, the pustules will burst if touched. As impetigo progresses, it causes intense itchiness, which often leads dogs to bite, lick and scratch the area incessantly. This almost always leads to bleeding, pain and, often, skin discoloration. Secondary bacterial infections can also occur, especially in ruptured blisters. Most puppies recover from impetigo within a few weeks, even without any medical treatment. However, serious cases will often require the use of an antibiotic shampoo or oral antibiotics. Various yeast species – especially Malassezia pachydermatis – are commonly implicated as the causal agent in dog skin infections. They often cause extreme itchiness and flaky skin, and a foul-smelling odor is often noticed by owners. Sometimes, yeast infections can lead to thickened skin and hyperpigmentation. Yeast infections in dogs most commonly affect the ears and paws, although they can strike in virtually any part of the body. Fortunately, yeast infections are generally easy to treat. Many respond to anti-fungal creams, although medicated shampoos are sometimes preferable. However, yeast infections often occur alongside bacterial infections, which tend to complicate matters. In such cases, your veterinarian will likely prescribe an antibiotic to be used alongside the antifungal medication. Ringworm infections, despite their name, have nothing to do with worms at all. Instead, they are fungal infections that commonly – but not always — cause a circular rash. There are a few different species that can cause ringworm in dogs, however Microsporum canis is the most common. While ringworm can usually be treated with antifungal medications, these medications must often be used for six weeks or longer to completely eradicate the fungus. It will also be necessary to clean your dog’s living quarters several times during the treatment period to help remove fungal spores from the environment. Special care is required when treating dogs with ringworm, as it is contagious to both people and other pets. Mange is a dog skin disorder often characterized by mild to severe itching, redness, swelling and hair loss. Although most owners envision mange as a disease limited to homeless or feral dogs, it can occur in even the most pampered dogs. Dogs can suffer from two different types of mange: demodectic and sarcoptic. Each is caused by different types of mites, which may be contracted from a variety of sources. Sarcoptic mange is often the more serious and contagious of the two, while many cases of demodectic mange remain localized and resolve on their own. Most cases that spread over large parts of the body can still be treated, but it is important to begin such treatments early. Sarcoptic mites are extremely contagious and can even infest people, so prompt treatment and a thorough cleaning of the environment are imperative. In most cases, sarcoptic mange takes two to six weeks to successfully treat, but it may take twice this long in some cases. Fleas are blood-sucking arthropods whose bites often cause slightly itchy wounds on a dog’s skin. Yet while a small number of flea bites are unlikely to cause your pet great distress, some dogs suffer from an allergic reaction called flea bite hypersensitivity, in which their body overreacts to the proteins in flea saliva. These dogs can suffer serious skin problems after only a single flea bite. Dogs who are allergic to fleas suffer from extreme itchiness that far exceeds that experienced by dogs who are not afflicted by this allergy. Dogs suffering from this condition often exhibit raised, red bumps at the site of the bites, and some will lose hair or develop thickened skin. Even dogs who are not sensitive to flea bites should be protected from theses blood-sucking parasites. This is relatively easy to accomplish by using a high-quality preventative flea treatment. However, because the itchy bumps may persist for longer than the actual fleas, some dogs will require anti-inflammatory medications to give them some relief and restore healthy skin. Ticks are the second most common ectoparasite that afflicts dogs. Ticks rarely afflict dogs in high numbers; the typical scenario involves a dog who comes back from playing in the forest or fields with a handful of the arthropods clinging to their skin. You should always inspect your dog carefully for ticks following trips outdoors (particularly during warm weather), as ticks can transmit a number of very serious illnesses. Some tick-borne diseases, including Rocky Mountain spotted fever and Lyme disease, can even sicken people, so ticks are not to be taken lightly. Aside from the serious illnesses tick cause, their bites often lead to swollen, itchy, red bumps. Many of these bumps will disappear over time as your dog’s body fights off any bacteria contained in the wound, but some may become infected and require antibiotic medications. Some dogs develop skin disorders as a result of their behavior. Two of the most common – hot spots and lick granulomas – are often caused in part by repetitive licking behavior. These types of dog skin infections generally necessitate both medications and behavioral modifications to correct the problem. Known to vets as acute moist dermatitis, hot spots normally appear as red skin lesions that exude fluid. Hot spots can appear quite suddenly (over the course of several hours), and they are typically caused by a dog’s licking behavior. Just about anything can stimulate a dog to repeatedly lick an area, including flea bites, dry skin and yeast infections. Hot spots are generally best treated through a combination of cleaning the area and removing the surrounding hair, applying prescription medications (typically topical steroids) and preventing the dog from accessing the wound – usually by using an E-collar. For reasons you’ll soon see, it is very important to treat hotspots at the earliest possible time to give your dog the best chance of healing. Acral lick granulomas are “infected, non-healing wounds” that arise in a single spot on a dog’s limbs or tail. Also called acral lick dermatitis, these wounds are essentially hot spots that are now unable to heal. It can be difficult to eliminate acral lick granulomas, as the healing process stimulates the dog to lick more, which re-opens the wound, causing a repeating pattern. Lick granulomas may precipitate from a variety of causes, including rashes, bacterial infections, lacerations or localized pain. Additionally, many dogs become obsessive lickers following trauma, separation anxiety or simply boredom. Accordingly, it is imperative to address the underlying medical condition in order to successfully treat the granuloma. Your veterinarian may prescribe an antibiotic to help clear any bacterial infections associated with the granuloma, and occasionally anti-inflammatories are administered to help reduce any pain and swelling in the area. However, behavioral modifications, such as having the dog wear an e-collar, are often necessary to completely cure the condition. There are a number of systemic (whole body) and congenital (those present from birth) diseases that can cause skin problems in dogs. Several of these diseases are difficult or impossible to treat, and a few can eventually become life-altering. Cushing’s disease – a condition in which the body produces too much cortisol — commonly causes dry, itchy skin in dogs. Cushing’s disease in dogs most commonly afflicts older dogs, although it can occur in dogs of any age. It is often difficult to diagnose, as it typically causes a variety of symptoms, several of which are common to many other conditions. In addition to excessive thirst, lethargy and the development of a bulging belly, many dogs suffering from Cushing’s disease will lose a large portion of their body hair. Itchiness and redness brought on by the excessive cortisol levels in the blood stream, are also common symptoms of the disease. 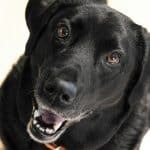 While this condition will often progress and ultimately prove fatal without treatment, and there is no true cure for the disease, several medications are available that can help treat the symptoms and prolong your dog’s life. Another systemic skin disease that commonly causes itchy, dry skin is hypothyroidism. This condition occurs when a dog’s thyroid gland (located in the neck) fails to produce the proper amount of hormones, effectively slowing down all cellular functions throughout the body. Aside from dry, itchy skin, hypothyroidism in dogs often causes weight gain, dull coat condition, thinning hair (sometimes progressing to the point of near baldness), slow hair growth and lethargy. Your vet can determine if your pet’s thyroid is not working properly through blood tests. Hypothyroidism has no cure, but it can be controlled through the use of medications. Several autoimmune diseases – collectively called pemphigus – can also cause skin issues in dogs. Pemphigus in dogs may occur in response to sun exposure, but others seem to be genetically predisposed to the condition. Dogs with pemphigus often suffer from dry skin, fluid-filled blisters and oozing skin lesions, although some develop scaly, thickened skin. The head and ears are typically the first areas to display these types of problems, but as the condition progresses, the blisters and lesions often spread to the rest of the body. In serious cases, the disease may also cause a fever, anorexia and depression. Pemphigus can become a serious, potentially life-threatening skin disease that necessitates hospitalization. However, other cases can be treated with corticosteroids on an out-patient basis. Dogs that experience hair loss are said to be suffering from alopecia (this does not refer to hair loss caused by a dog’s chewing behavior). Alopecia comes in several forms, with different types of hair loss occurring in afflicted dogs. Some forms of the condition are reversible, but sadly, others cannot be cured. Alopecia in dogs is often secondary to some other problem, such as mites, bacterial infections or hormonal problems. Other types of alopecia are thought to be caused by autoimmune disorders or even as a result of spaying or neutering. Veterinary care will be required to identify and correct the cause of the problem, when possible. Seborrheic dermatitis (often called seborrhea) occurs when a dog’s body fails to produce keratin – one of the primary components of skin cells – in the proper manner. Afflicted dogs often exhibit greasy, yet scaly skin. There are two types of seborrhea: primary and secondary. Primary seborrhea is an inherited skin disease that typically manifests early in a dog’s life and worsens over the course of the animal’s life. Secondary seborrhea, on the other hand, arises in response to some other skin issue, such as alopecia or pyoderma. There is no cure for primary seborrhea, although the symptoms can often be managed with veterinary assistance. Secondary seborrhea can often be resolved, but the underlying cause must be addressed first. Vitiligo is a skin issue characterized by the loss of skin pigment. The afflicted areas — which may occur anywhere on the body, but are most common on the head — are often smooth to the touch. Vitiligo in dogs can occur in response to some other ailment, such as pyoderma, but it is often an inherited disease. Most dogs with inherited vitiligo develop more areas of discoloration as they age. There isn’t a cure for vitiligo, but you should still see your vet to ensure that you aren’t confusing it with some other condition. Fortunately, vitiligo does not cause your dog any distress; it is solely an aesthetic issue, which won’t bother your dog in the slightest. Although it is not as common a skin disease as it is in people, dogs can suffer from skin cancer. Because sun exposure is often the cause of the disease, dogs frequently develop tumors on the relatively fur-free portions of their body, such as the nose and muzzle. Unfortunately, skin tumors on dogs can present in a number of different ways, so you’ll always want to have your vet check out any unusual growths, bumps or ulcerations on your dog’s skin. This is especially true of bumps and swellings that exhibit unusual colors or bleed easily. While skin cancer can be a fatal condition, there is no reason to panic upon receiving this diagnosis. There are a number of treatments vets can use to remove or kill the tumor. Just be sure to contact your vet as early as possible, as early detection and treatment greatly improve your dog’s chances for a full recovery. Accurate diagnosis and prompt treatment can drastically improve the outcome for many dog skin disorders, so be sure to seek your vet’s input at the first sign of a problem. Has your dog ever battled one of the above dog skin conditions or other issues? What was the nature of the problem? Was it easy to treat or prove difficult and costly? We’d love to hear all about your experiences in the comments below.